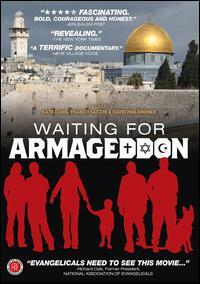 Waiting for Armageddon is a documentary that studies Armageddon theology and Christian eschatology. Some evangelicals in the United States believe that bible prophecy predicts events including the Rapture and the Battle of Armageddon. The documentary raises questions regarding how this theology shapes United States and Middle East relations and how it may encourage an international holy war. The documentary interviews Christians, Zionists, Jews and probes the politics and alliance between Evangelical Christians and Israel. This alliance is believed by some to set the stage for World War III.